﻿﻿﻿﻿﻿﻿﻿﻿﻿﻿﻿﻿﻿﻿﻿﻿﻿﻿﻿﻿﻿﻿The cycle rickshaw is a small-scale local means of transport; it is also known by a variety of other names such as bike taxi, velotaxi, pedicab, bikecab, cyclo, beca, becak, trisikad, or trishaw or, simply, rickshaw which also refers to auto rickshaws, and the, now uncommon, rickshaws pulled by a person on foot. Cycle rickshaws are human-powered, a type of tricycle designed to carry passengers in addition to the driver. They are often used on a for hire basis. Cycle rickshaws are widely used in major cities around the world, but most commonly in cities of South, Southeast and East Asia. 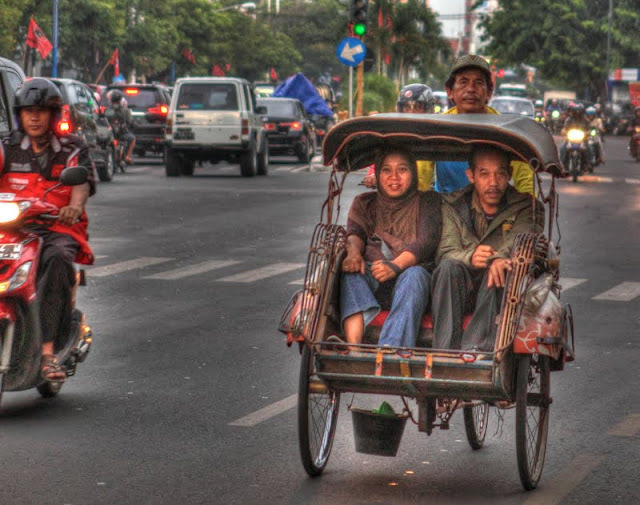 Cycle rickshaws in Indonesia are called becak (pronounced [ˈbetʃaʔ]. Becak were considered an icon of the capital city of Jakarta prior to its ban in the 1970s. Citing concerns of public order, the city government forbade them on the city's main streets. 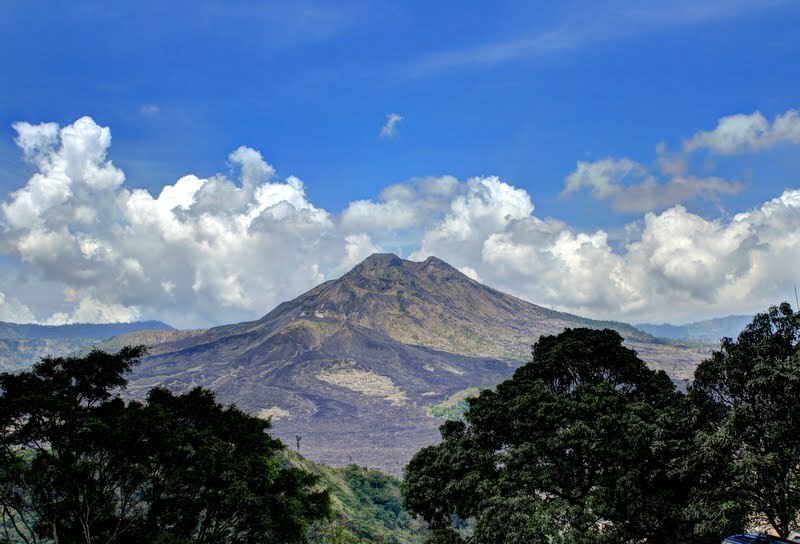 Kintamani is a highland area in the north of East Bali, at the Mount Batur caldera, and which encompasses Penelokan, Toya Bungkah, Batur and Kintamani villages, is known widely as just Kintamani. 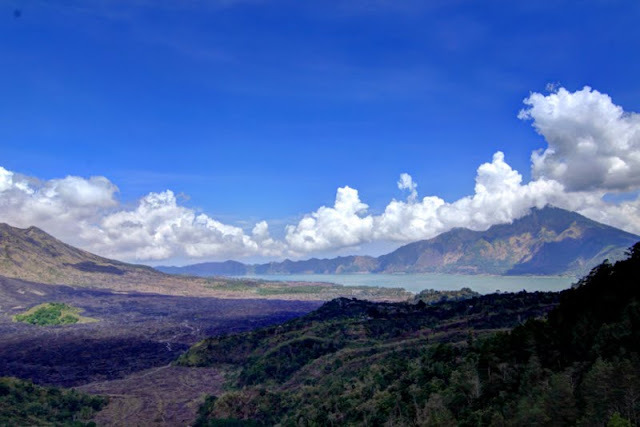 Kintamani, Batur and Penelokan villages sit on the rim of the huge Batur caldera about 1,500m above sea level, and offer dramatic views of the active volcano Mount Batur and serene Lake Batur. Toyo Bungkah village is down at the lake edge. As well as the lake and the volcano, Kintamani is home to Pura Ulun Danu Batur, one of Bali's key nine directional temples. Kintamani is usually approached from the south with 2 routes in from Ubud (45 minutes), and one each from Besakih (1 hour) and Bangli (30 minutes). There is also an easy way in from the north via a turning off the coast road east of Singaraja (1 hour). From the popular tourist destinations in South Bali, a trip to Kintamani by car will take 90 minutes plus. The main attraction for visitors is located around Lake Batur where Penelokan village provides spectacular views of this crater lake and Mount Batur, set in a vast volcanic caldera. Photo opportunities abound, but try to be there as early in the morning as you can manage before the cloud inevitably starts to gather. Mount Batur and serene Lake Batur. Further northwest along the rim of the caldera is Pura Ulun Danau Batur, one of the most important temples in Bali. The temple was rebuilt up on the caldera ridge in 1926 after an eruption of Mount Batur destroyed the old one down in the crater. There are a large number of shrines, but most visitors are drawn to the huge eleven roofed meru in the inner courtyard. This is dedicated to the goddess of the lake, Ida Batara Dewi Ulan Danau who is regarded as the controlling deity of the whole water and irrigation system of Bali. You can visit the Bali Aga village at Trunyan on the eastern shore of the lake by boat from Kedisan. This is recommended in some guides, but first hand reports are frequently negative and speak of some problems. This is an isolated community and one which is not particularly welcoming to tourists, despite relying on income from visitors. If you really must go, catch a boat at the lakefront in Kedisan (or you can charter a boat from Toyo Bungkah) and make sure the price is clearly understood before departing, and that the entrance donation to the Trunyan villagers is included. When you arrive at Trunyan, the key attraction is the cemetery. Ancient customs retained by the Bali Aga here include the open burial of dead bodies in a pit covered by just some light cloth. If you want to visit a Bali Aga village though, then Tenganan near Candidasa is a far better option. Kintamani is the pushy souvenir hawker capital of Bali. They will surely target you the moment you arrive and try to admire the view. If you are confident handling the haggling with these vendors, Kintamani can turn out to be an interesting shopping experience. If you are not, and allow such things to bother you, the level of hassle here can make for an unpleasant experience. Tegalalang located in northern Ubud, which can be taken about 20 minutes by motor vehicle from Ubud, or about 1 hour 30 minutes from the airport. It is located in Kintamani and Ubud tourist track. This area is famous for its the beautiful terraced rice fields, many tourists who travel to and from Kintamani stopped at this place to see the scenic beauty of the verdant terraced rice fields, but it is also so close to the rempat other attractions, such as Ubud, Gunung Kawi Tampaksiring, Tirta Empul, Gunung Kawi Sebatu and Taro Elephant Park, so thats why it is so frequently visited by tourists. 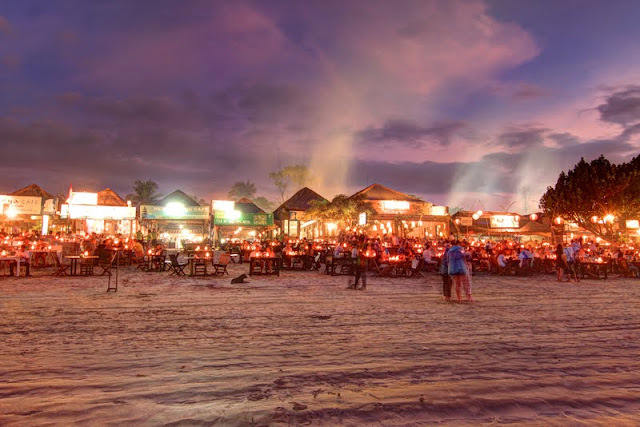 Menega cafe is one of the many restaurants along the shoreline of Jimbaran beach, nearby Four Seasons, Kerobokan – Kuta. The restaurant is quite crowded during peak seasons as it is quite popular among tourists, so if you’re looking for a table on the beach, make sure you make reservations first and be there on time, otherwise you’ll ended up with a table inside the restaurant and miss the whole point of going to Jimbaran in the first place. The best time to eat is during sunset around 6-7 pm. The seafood is fresh and mostly grilled with Balinese spices. There are choices of lobsters, crabs, prawns, squid, clams, and fishes. You buy your choices of seafood and they will cook it for you. While you’re waiting for the food to arrive, try the boiled or grilled corns that were being sold by many “abang-abang”along the shoreline, or you can just sit back and enjoy the atmosphere. If you’re looking for a less crowded place to eat at Jimbaran, tell your driver to take to you to the Melasti beach at Kedonganan. The place is less crowded, however, a bit pricey. If you’re using a rented car and its driver and want to go to the Menega area, you better make sure to tell the driver that you want to go the Jimbaran that nearby Four Season or Muaya area, otherwise the driver will simply take you to Melasti as you know, like other well popular tourist spots, some restaurants offers a special tips for driver who brings in customers. 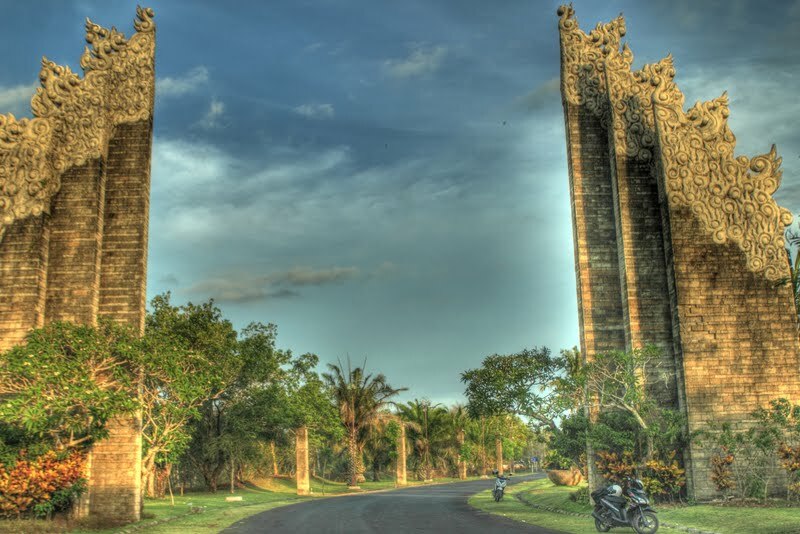 Mandala Garuda Wisnu Kencana, or Garuda Wisnu Kencana (GWK), is a 240 hectares private cultural park on the Bukit Peninsula at the southern end of the island of Bali in Indonesia, 15 minutes from Ngurah Rai International Airport. 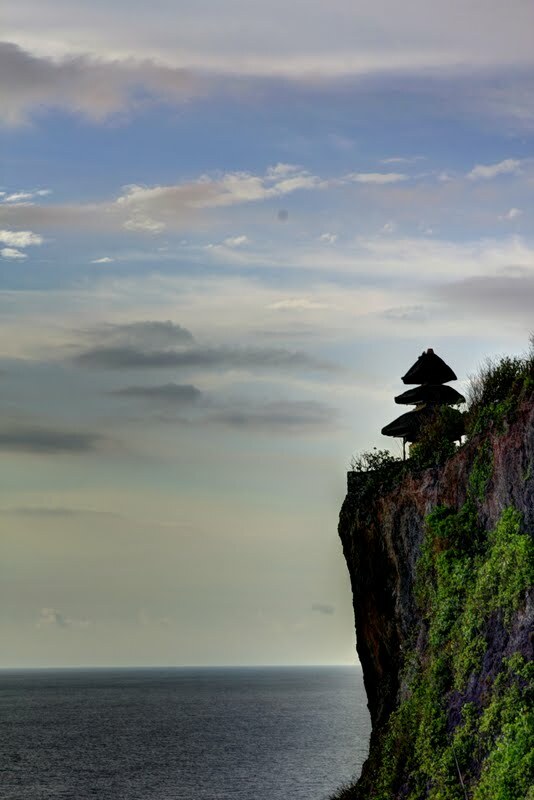 Bukit is a limestone plateau with Uluwatu to the west and Nusa Dua to the east. Designed and built by Nyoman Nuarta, one of Indonesia’s foremost modern sculptor, the Garuda Wisnu Kencana statue or GWK and its pedestal building will be standing 150 meters tall with its wings span 64 meters across. 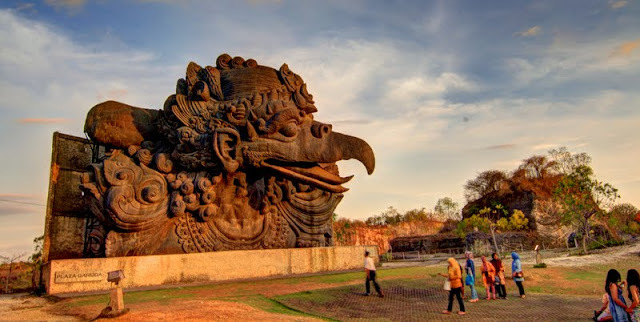 Made from more than 4000 tons of copper and brass, the statue is picturing Lord Wisnu, as the source of wisdom, riding on the back of the mythical bird Garuda as the manifestation of conscience toward Amerta, the perennial goodness. The statue and its pedestal will be surrounded by more than 240 hectares cultural park which was once an abandoned and unproductive limestone quarry. The cultural park will provide attractions for both local and foreign visitors with supporting facilities such as Lotus Pond, Festival Park, Amphitheater, Street Theater, Exhibition Hall, as well as Jendela Bali The Panoramic Resto and souvenir shop. At present time, the statue of Wisnu, the statue of Garuda, and the hands of Wisnu have been placed temporarily in three different plazas within the park. 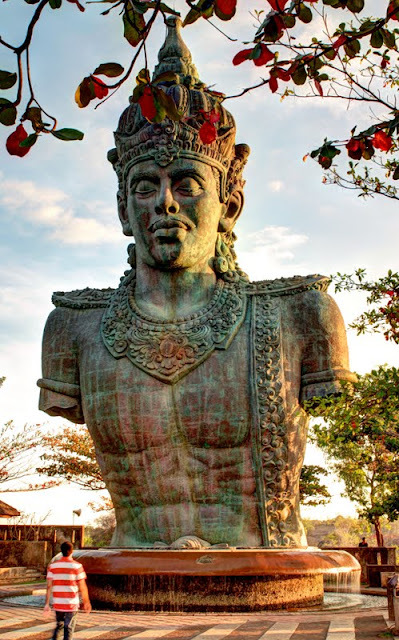 As the anchor point of GWK, the 20 meter tall copper statue of the Lord Wisnu has been placed temporarily on the highest hill of Ungasan where visitors can enjoy sunset or sunrise over the magnificent view of Kuta, Benoa and Sanur. The statue of Wisnu is an illustration of the Almighty God in maintaining and caring all life and its being. The god Wisnu is the owner of Amerta in the form of water as the source of fertility , giving wealth and life to the universe. Right behind the Plaza Wisnu is the Plaza Garuda where the 18 meters tall statue of Garuda placed temporarily. At the present time, Plaza Garuda becomes the focal point of a massive alley of carved limestone pillars which covers more than 4000 sqm open space area namely Lotus Pond. The colossal limestone pillars and monumental Garuda statue make Lotus Pond a very exotic space. With its room capacity that can accommodate up to 7000 people, Lotus Pond has gained good reputation as the perfect place to hold big and international events. The statue of Wisnu’s hands was added to GWK Cultural Park in 2007. 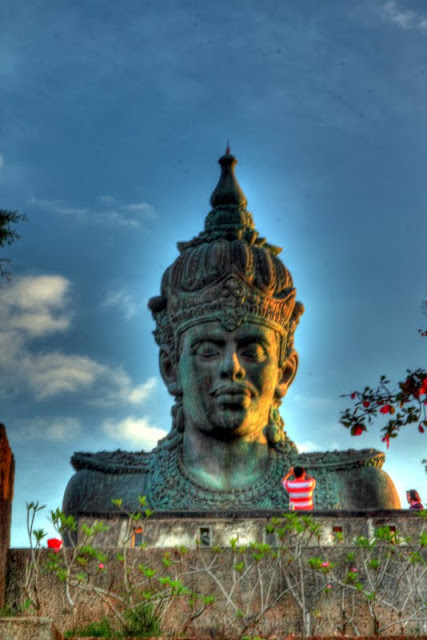 It’s one step closer to finishing the complete Garuda Wisnu Kencana statue. This piece was placed temporarily on Tirta Agung area. The idea was not without controversy, and religious authorities on the island complained that its massive size might disrupt the spiritual balance of the island, and that its commercial nature was inappropriate. On 20 February 2011, British heavy metal band Iron Maiden played the first rock concert at the venue to a sold out crowd of over 7,000 fans. This is also a venue of Miss World 2013 which will be held on September 2013. Singapore's Chinatown is the traditional Chinese quarters of town, and while the entire city is largely Chinese these days the area does retain some of its own charm. The area is also known as Niu Che Shui (牛车水) in Chinese and Kreta Ayer in Malay, both names meaning "bullock cart water", a reference to the carts that used to haul in drinking water. The area between Pagoda Street and Smith Street has been tarted up considerably for tourists, but workaday Chinatown continues south and east, merging seamlessly into the Central Business District.Tanjong Pagar is the unofficial home of Singapore's gay community, with many watering holes in restored shophouses, while Club Street caters more to the expat and yuppie crowd with small, intimate eateries offering excellent (if pricy) Western fare. Battlestar Galactica: Human vs. Cylon is a pair of steel, dueling roller coasters at Universal Studios Singapore. One half of the ride features an inverted roller coaster track in blue, and the other half features the traditional seated roller coaster track design in red. It is the tallest dueling coaster in the world; tipping at 42.5 metres (139 ft). The roller coaster trains are launched from their stations at high speed instead of the traditional chain lift. Linear Synchronous Motors (LSM) are used for high-acceleration speed during launching. In a similar style to the Dragon Challenge at Universal's Islands of Adventure, these coasters will feature several near collisions mere inches apart. Additionally, part of the ride takes place over the park's central lagoon. The coasters are the first Vekoma coasters that aren't the Flying Dutchman model to feature four-abreast seating, similar to the coasters by Bolliger & Mabillard and Premier Rides. 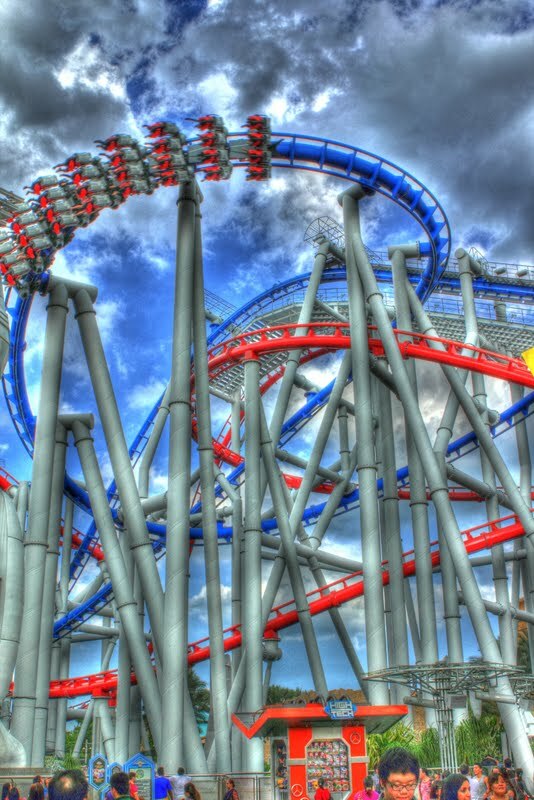 Battlestar Galactica: Cylon is a suspended roller coaster and travels on an inverted blue track. The Cylon coaster is a coaster designed like the Cylon Raider suspended from the track with legs free that performs intense maneuvers including several inversions in the form of a zero-g roll, a Cobra roll, corkscrews and vertical loops. The Merlion (Malay: Singa-Laut) is a mythical creature with the head of a lion and the body of a fish, used as a mascot and national personification of Singapore. Its name combines "mer" meaning the sea and "lion". The fish body represents Singapore's origin as a fishing village when it was called Temasek, which means "sea town" in Javanese. 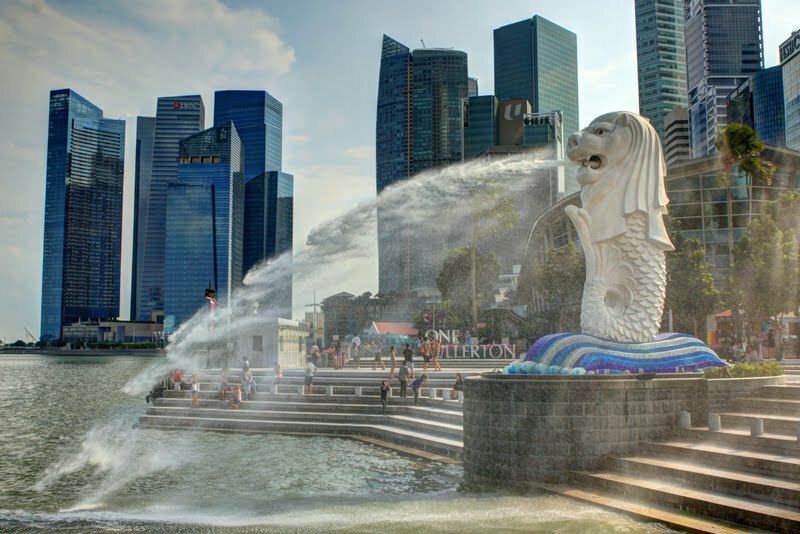 The lion head represents Singapore's original name — Singapura — meaning "lion city" or "kota singa". The symbol was designed by Alec Fraser-Brunner, a member of the Souvenir Committee and curator of the Van Kleef Aquarium, for the logo of the Singapore Tourism Board (STB) in use from 26 March 1964 to 1997 and has been its trademarked symbol since 20 July 1966. 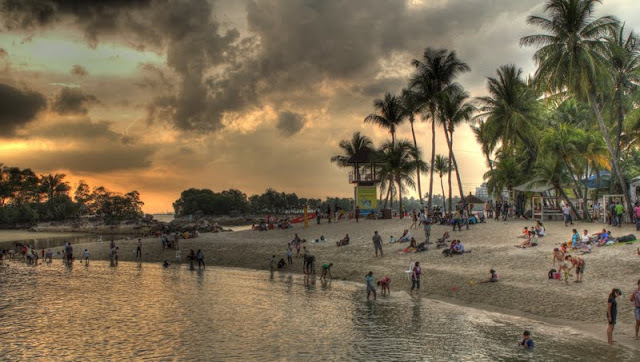 Sentosa has a stretch of sheltered beach of more than 2 km (1.2 mi) on its southern coast, divided into three portions: Palawan Beach, Siloso Beach, and Tanjong Beach. These beaches are artificial, reclaimed using sand bought from Indonesia and Malaysia. They are manned by the best beach patrol lifeguard team in Singapore. The lifeguards wear red and yellow uniforms and patrols the beaches of Sentosa. Palawan Beach, lies in the centre of the southern coast of Sentosa. There is a suspension bridge that leads to a small islet off the coast which is said to be the Southernmost Point of Continental Asia, or Asia's closest point to the Equator. 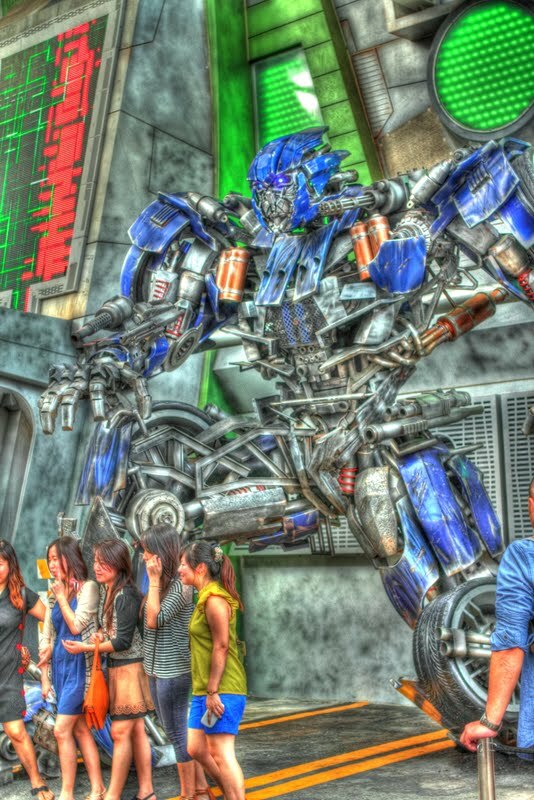 Transformers The Ride is 3D dark ride located at Universal Studios Singapore and Universal Studios Hollywood. The ride is based on the Transformers film franchise and is reported to have cost US$100 million. The ride system used on Transformer is similar to that used by The Amazing Adventures of Spider-Man at Islands of Adventure in Orlando, Florida, and later at Universal Studios Japan. The ride vehicles are mounted to a track-roaming platform that provides the forward motion to move the vehicle through each show scene. Lights! Camera! Action! Hosted by Steven Spielberg is a show attraction located in the New York zone of Universal Studios Singapore at Resorts World Sentosa. The action was divided into 2 shows, pre-show which is Steven Spielberg, appearing on a video projection screen, gives a brief introduction to the use of sound stages and special effects in movies. 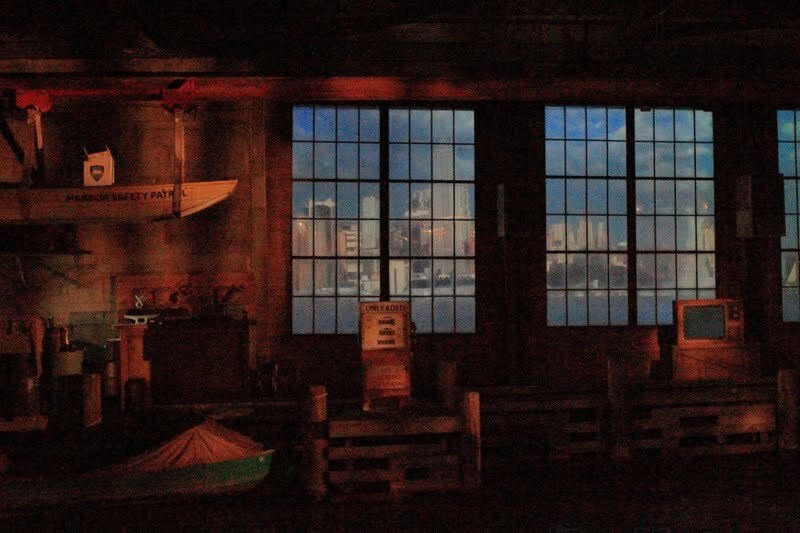 After this short show, we will enter the main sound stage, which is modeled after the interior of a boathouse in New York City. Once the command to roll cameras has been given, the sky (a projection of the NYC skyline outside the boathouse windows) darkens, thunder and lightning fill the room, heavy rain pours through the ceiling. The audience is immersed in various effects such as strong wind, intense fire, signboards crashing through the roof, the boathouse windows blowing away, movement of the platform they are standing on, and a huge cargo ship slamming through the boathouse entrance. The seating is in three sections of arena seating. The front seats are the "Soak Zones", which are the target of splashes from the Jet-Skis and various wet special effects. If you do not want to get wet, even you take the rain coat, so sit at the back of row. It will be announced when the show will start. the crew will spry with water gun or even flush with a bucket of water. Adapted by Ben Hurst. The attraction's story occurs after the events of the movie, beginning with Helen's return from "Dryland" to get her friends from the "Atoll", and includes the characters Helen, the Deacon, and the Mariner as well as several "Atollers" and "Smokers". Kerak telor (English: Egg crust) is a Betawi traditional spicy omelette dish in Indonesian cuisine. It is made from glutinous rice cooked with egg and served with serundeng (fried shredded coconut), fried shallots and dried shrimp topping. It is considered as a snack and not as a main dish. The vendors of kerak telor are easily the most ubiquitous during annual Jakarta Fair and it has also become a must-have menu item for visitors at the event. Each of the portion is made by order. The kerak telor vendor puts a small amount of ketan (English: sticky rice) on a small wok pan and heats it on the charcoal fire. Add an egg (chicken or duck, but duck eggs are considered more delicious), and add some spices and mix it. The dish is fried on a wok without any cooking oil so the omelette will stick on the wok and enable to put it upside down straight against charcoal fire until it is cooked. The spicy serundeng (sweet grated coconut granule) with ebi (dried salted shrimp) and fried shallots are sprinkled upon the omelette. Bakso or baso is Indonesian meatball or meat paste made from beef and is similar in texture to the Chinese beef ball or fish ball. Bakso is commonly made from beef with a small quantity of tapioca flour, however bakso can also be made from other ingredients, such as chicken, fish, or shrimp. Bakso are usually served in a bowl of beef broth, with yellow noodles, bihun (rice vermicelli), salted vegetables, tofu, egg (wrapped within bakso), Chinese green cabbage, bean sprout, siomay or steamed meat dumpling, and crisp wonton, sprinkled with fried shallots and celery. 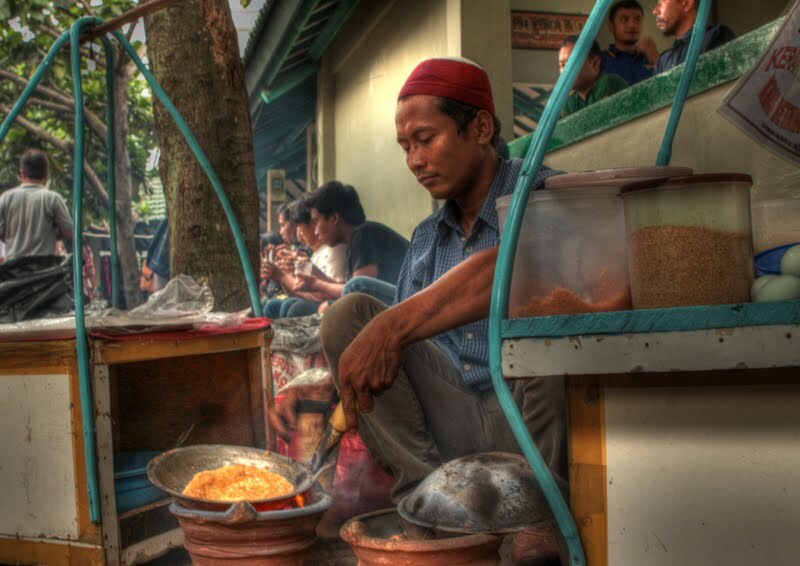 Bakso can be found all across Indonesia; from the traveling cart street vendors to restaurants. Today various types of ready to cook bakso also available as frozen food commonly sold in supermarkets in Indonesia. The name Bakso originated from bak-so (肉酥, Pe̍h-ōe-jī: bah-so·), the Hokkien pronunciation for "shredded meat" (Rousong). This suggests that bakso has Indonesian Chinese cuisine origin. Today most of the bakso vendors are Javanese from Wonogiri (a town near Solo) and Malang. Bakso Solo and Bakso Malang are the most popular variant; the name comes from the city it comes from, Solo in Central Java and Malang in East Java. In Malang, Bakso Bakar (roasted bakso) is also popular. As most Indonesians are Muslim, generally Bakso is made from beef or is mixed with chicken. Uluwatu Temple (Pura Uluwatu) is one of Bali's nine key directional temples. 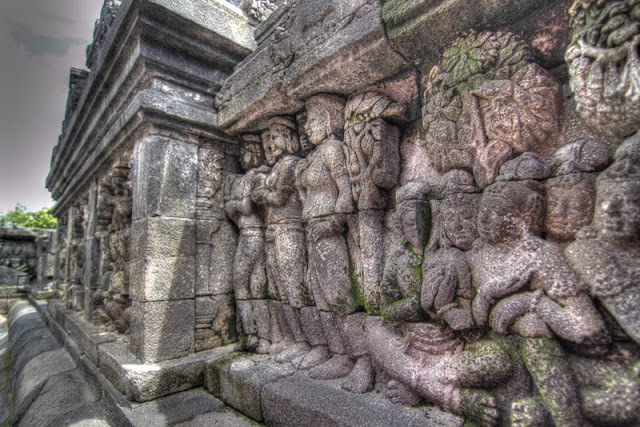 Though a small temple was claimed to have existed beforehand, the structure was significantly expanded by a Javanese sage, Empu Kuturan in the 11th Century. Another sage from East Java, Dang Hyang Nirartha is credited for constructing the padmasana shrines and is claimed to have attained Moksha here. Even more remarkable than the temple itself is its location, perched on a steep cliff 70 metres above the roaring Indian ocean waves. There are more steep headlands on either side and sunsets over Uluwatu are a sight to behold. The entrance fee from Oct 2012 is Rp 20,000 and you need to be properly dressed to enter. Sarongs and sashes are available free at the entrance. Guides, once famously mercenary, hassle visitors less than they used to, although they will offer to "protect" you from the monkeys, for a tip of course. Note that while you are free to walk around the temple grounds, the central courtyards can only be entered during special rituals. The temple is inhabited by large number of monkeys, who are extremely adept at snatching visitors' belonging, including bags, cameras and eyeglasses. Keep a very close grip on all your belongings and stow away your eyeglasses if at all possible. If you do have something taken, the monkeys can usually be induced to exchange it for some fruit. Needless to say, rewarding the monkeys like this only encourages them to steal more. Locals and even the temple priests will be happy to do the job for you, naturally in exchange for a tip (Rp 10,000-50,000). The dancers were sitting in a circle is wearing plaid fabric like a chessboard their waist. Besides the dancers, there were other dancers who portray the characters of Ramayana as Rama, Shinta, Ravana, Hanuman and Sugriva. Kecak dance songs taken from the ritual dances sanghyang. In addition, the instrument is not in use. Only used kincringan imposed on foot of dancers who portray the characters of Ramayana. 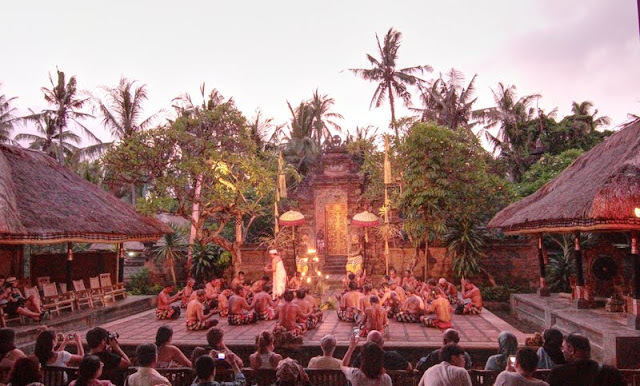 Around the 1930's Wayan modulus worked with German painter Walter Spies to create the Kecak Dance Trance and the tradition of the Ramayana story. Wayan modulus popularizing this dance around the world with his Balinese dance troupe. 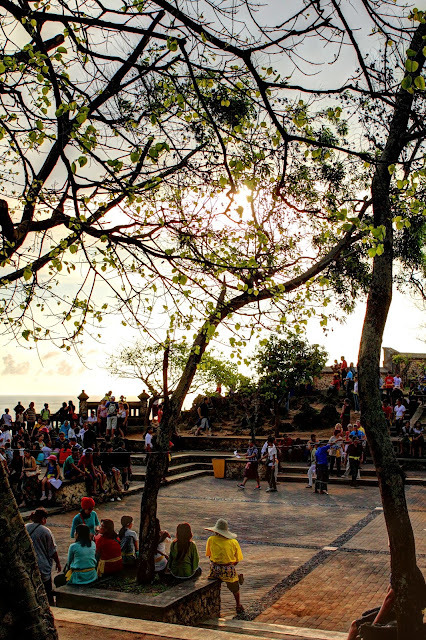 Some place to performe Tari Kecak in Bali:Pura Taman Sari, Batu Bulan, Kesiman, Uluwatu, Tanah Lot, Pura Padang Kerta, Padang Tegal Kaja and Pura Batukaru. Ondel-ondel is a form of folk performance using a large puppets. It originated from Betawi, Indonesia and is often performed in festivals. The word ondel-ondel refers to both the performance and the puppet. Ondel-ondel, the puppet, is about 2.5 meters tall with ± 80 cm diameter, made of woven bamboo. It is constructed in such a way so that it easily lifted by one person from the inside of the puppet. 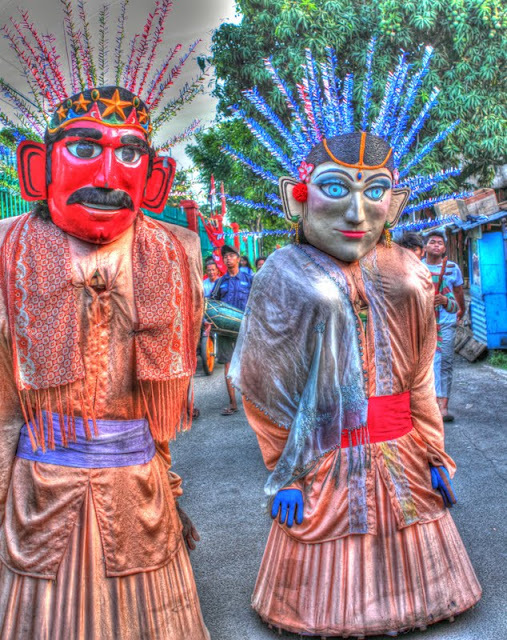 The puppet is usually dressed in brightly coloured garments, and in some occasions, in traditional Betawi clothing. The puppet's mask face is typically made of wood, and the hair from dried coconate trees leaves that has been shredded lengthways. An ondel-ondel can either be of the female or male gender. The wooden mask of the male puppet is traditionally painted red, while the female painted white. Ondel-ondel as a folk performance is also practiced in other parts of Indonesia. In Pasundan, it is known as Badawang, while in Central Java it is called Barongan Buncis. In Bali, it is better known as Barong Landung. Traditionally, ondel-ondel is performed to provide protection against calamities or for warding off wandering evil spirits. It is often thought of as a spiritual representation of the ancestors who safeguards the village residents and their descendants. Although, as of late, ondel-ondel is utilised more for livening up festivals or for welcoming guests of honor. Ondel-ondel is one of only few Indonesian folk performances that has survived modernisation and is still being regularly performed, while other folk performances are slowly dying out. The musical acompaniment for the ondel-ondel performance varies with regions, occasions and groups of performances. Indonesia is the third-largest producer of rice in the world. 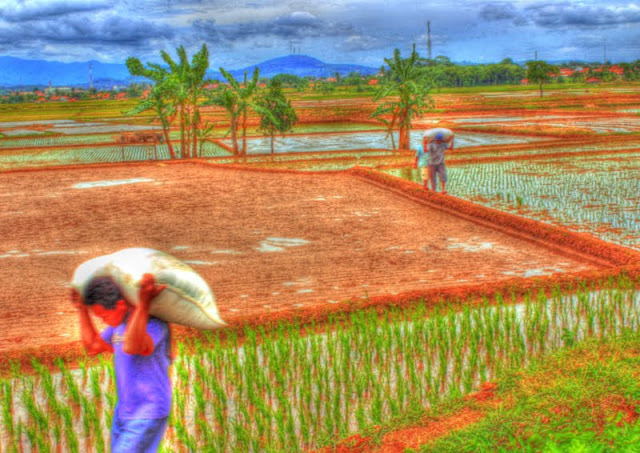 Rice production in Indonesia is an important part of the national economy since it was the staple food in the Indonesian diet, accounting for more than half of the calories in the average diet, and the source of livelihood for Indonesian people. 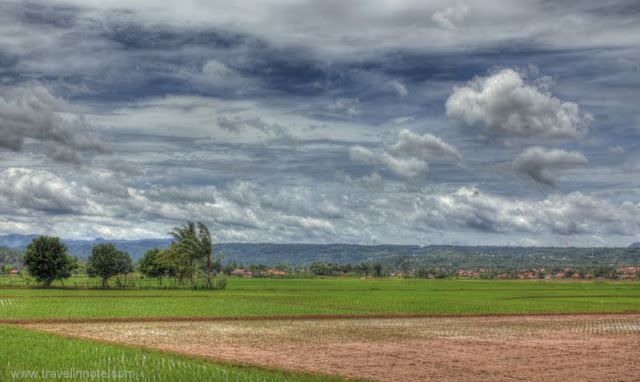 Rice cultivation covered a total of around 10 million hectares throughout the archipelago, primarily on sawah. The supply and control of water is crucial to the productivity of rice land, especially when planted with high-yield seed varieties. Rice fields are agricultural lands that are physically flat surface areas, bounded by dikes, and can grow rice or other crops. Most of the fields used for rice cultivation. For this purpose, the field should be able to hold the water because of flooding in rice requires a certain period in its growth. 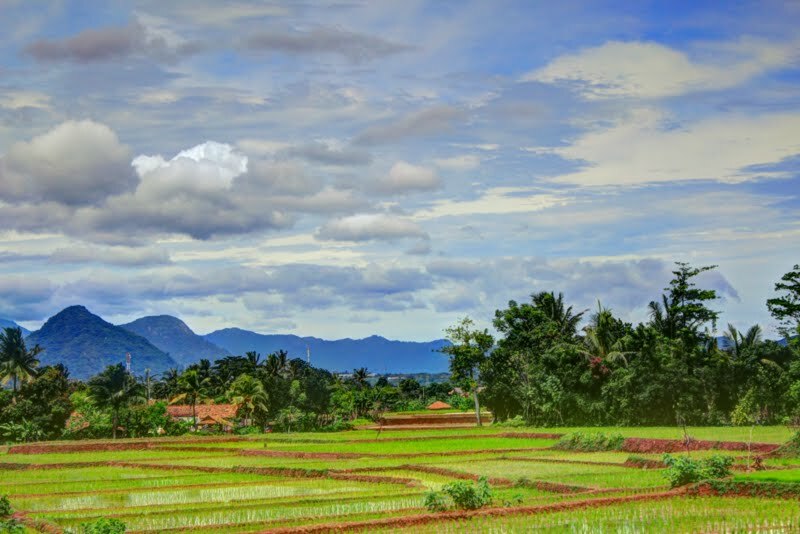 On land that has a high slope, terraced rice fields, or better known printed terracing (terasiring) or swales (sengkeden) to prevent erosion and hold water. 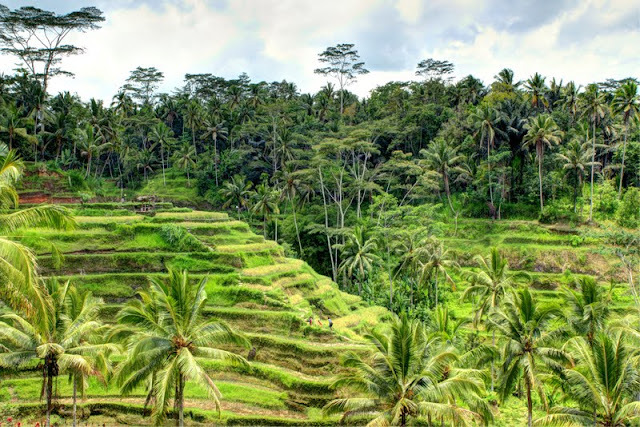 There are many terraced rice fields on the slopes of a hill or mountain in Java and Bali. The Petronas Towers, also known as the Petronas Twin Towers (Malay: Menara Petronas, or Menara Berkembar Petronas) are twin skyscrapers in Kuala Lumpur, Malaysia. According to the CTBUH's official definition and ranking, they were the tallest buildings in the world from 1998 to 2004 until surpassed by Taipei 101. The buildings are the landmark of Kuala Lumpur with nearby Kuala Lumpur Tower. The towers were designed by Argentinian architect César Pelli, Indonesian architect Achmad Murdijat. They chose a distinctive postmodern style to create a 21st century icon for Kuala Lumpur. Pasar Beringharjo adalah pasar tradisional yang terletak di Jl. Jend A. Yani Kawasan Malioboro, Yogyakarta. Pasar ini terkenal dengan koleksi dagangan batik, baik yang berupa kain batik ataupun produk garmen batik lainnya seperti, daster, celana pendek, piyama dll. Lokasi pasar ini bersebelahan dengan museum sejarah Benteng Vredeburg dan berseberangan dengan Gedung Agung. Pasar ini terkenal sebagai salah satu tujuan wisata dan sekaligus merupakan pusat kegiatan perdagangan produk batik Yogyakarta. George Town (less commonly also spelt Georgetown,) is the capital of the state of Penang in Malaysia. 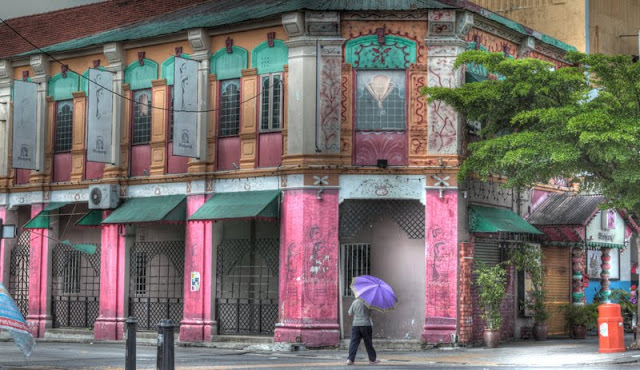 Named after Britain's King George III, George Town is located on the north-east corner of Penang Island. 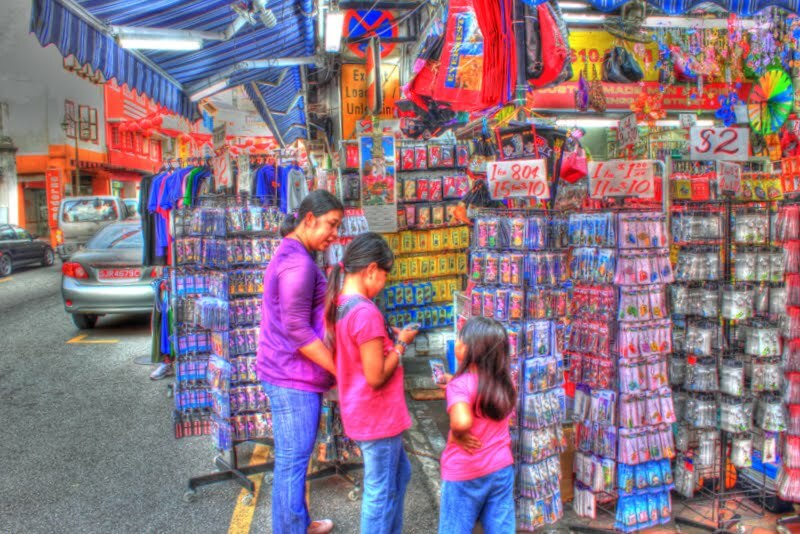 The inner city has a population of 720,202 and the metropolitan area which consists of Penang Island, Seberang Prai, Sungai Petani and Kulim has a combined population of 2,251,042, making it the second largest metropolitan area in Malaysia. 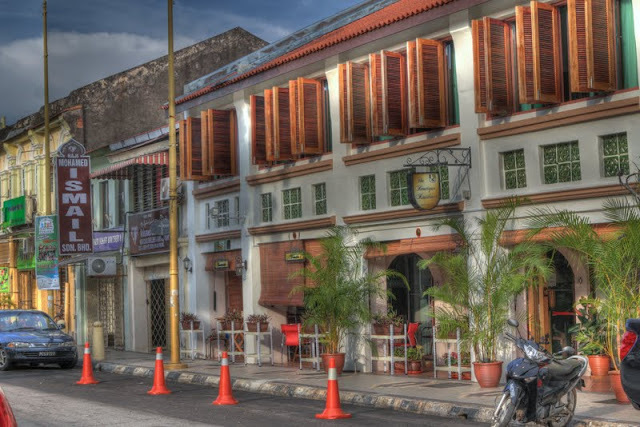 Formerly a municipality and then a city in its own right, since 1976 George Town has been part of the Municipality of Penang Island, though the area formerly governed by the City Council of George Town is still commonly referred to as a city. George Town is also known as Tanjung ("The Cape") in Malay, 乔治市 (Qiáozhì Shì) in Chinese and ஜோர்ஜ் டவுன் (Georgetown) in Tamil. The inner city of George Town is a UNESCO World Heritage Site. 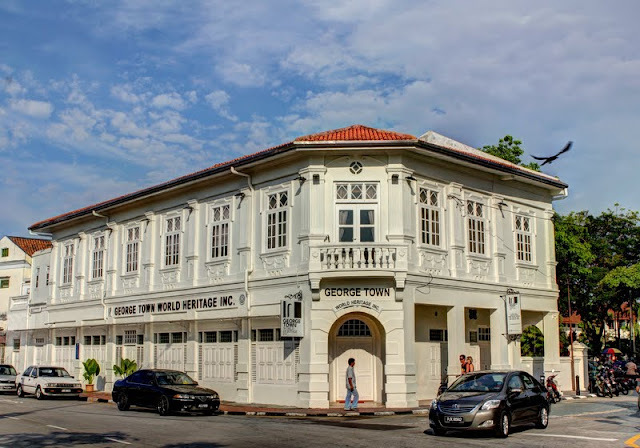 George Town was founded on 11 August 1786 by Captain Francis Light, a trader for the British East India Company, as base for the company in the Malay States. He obtained the island of Penang from the Sultan of Kedah and built Fort Cornwallis on the north-eastern corner of the island. The fort became the nexus of a growing trading post and the island's population reached 12,000 by 1804. The town was built on swampy land that had to be cleared of vegetation, levelled and filled. The original commercial town was laid out between Light Street, Beach Street (then running close to the seashore), Malabar Street (subsequently called Chulia Street) and Pitt Street (now called Masjid Kapitan Keling Street). Borobudur, or Barabudur, is a 9th-century Mahayana Buddhist Temple in Magelang, Central Java, Indonesia. The monument consists of six square platforms topped by three circular platforms, and is decorated with 2,672 relief panels and 504 Buddha statues. A main dome, located at the center of the top platform, is surrounded by 72 Buddha statues seated inside a perforated stupa. Built in the 9th century during the reign of the Sailendra Dynasty, the temple’s design in Gupta architecture reflects India's influence on the region. It also depicts the gupta style from India and shows influence of Buddhism as well as Hinduism.The monument is both a shrine to the Lord Buddha and a place for Buddhist pilgrimage. The journey for pilgrims begins at the base of the monument and follows a path around the monument and ascends to the top through three levels symbolic of Buddhist cosmology: Kāmadhātu (the world of desire), Rupadhatu (the world of forms) and Arupadhatu (the world of formlessness). The monument guides pilgrims through an extensive system of stairways and corridors with 1,460 narrative relief panels on the walls and the balustrades. 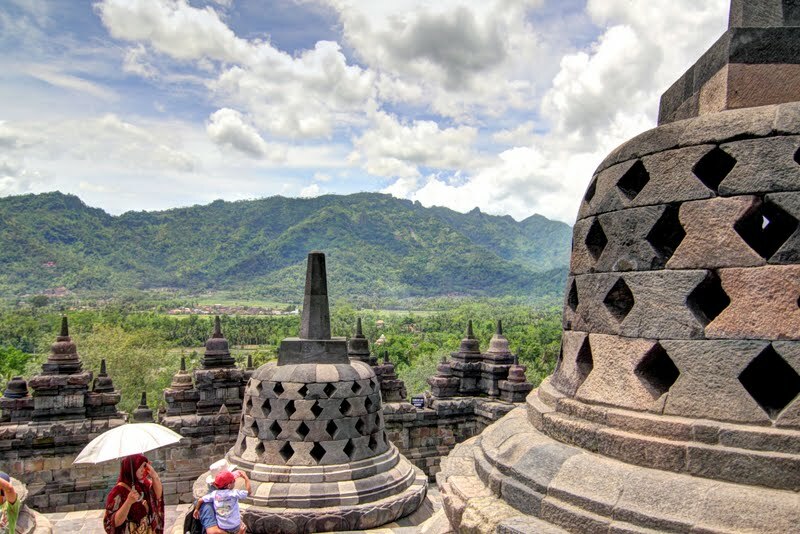 Based on evidence, Borobudur was constructed in the 9th century and abandoned following the 14th century decline of Hindu kingdoms in Java, and the Javanese conversion to Islam. Worldwide knowledge of its existence was sparked in 1814 by Sir Thomas Stamford Raffles, then the British ruler of Java, who was advised of its location by native Indonesians. Borobudur has since been preserved through several restorations. The largest restoration project was undertaken between 1975 and 1982 by the Indonesian government and UNESCO, following which the monument was listed as a UNESCO World Heritage Site. Borobudur is still used for pilgrimage; once a year Buddhists in Indonesia celebrate Vesak at the monument, and Borobudur is Indonesia's single most visited tourist attraction. Approximately 40 kilometres (25 mi) northwest of Yogyakarta and 86 kilometres (53 mi) west of Surakarta, Borobudur is located in an elevated area between two twin volcanoes, Sundoro-Sumbing and Merbabu-Merapi, and two rivers, the Progo and the Elo. 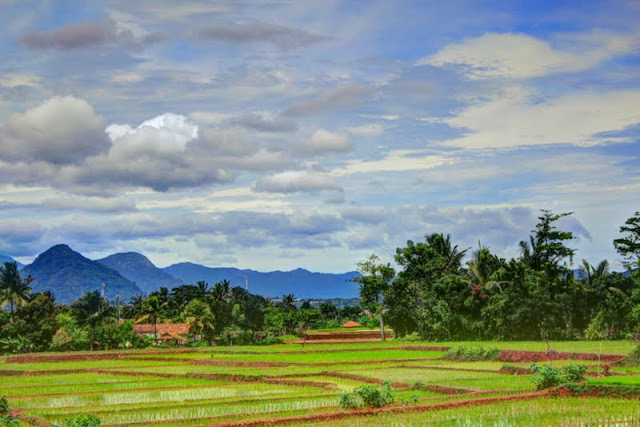 According to local myth, the area known as Kedu Plain is a Javanese 'sacred' place and has been dubbed 'the garden of Java' due to its high agricultural fertility. 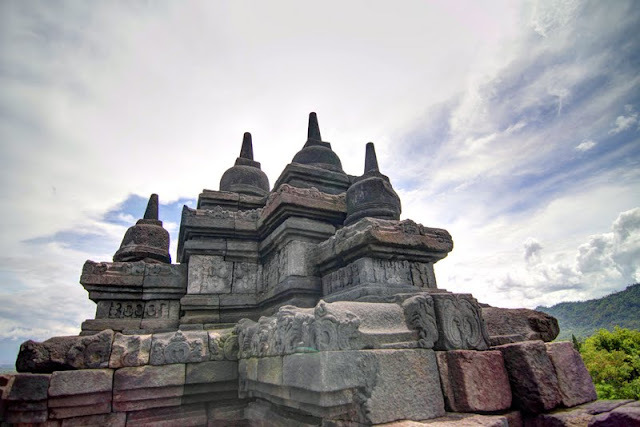 During the restoration in the early 20th century, it was discovered that three Buddhist temples in the region, Borobudur, Pawon and Mendut, are positioned along a straight line. A ritual relationship between the three temples must have existed, although the exact ritual process is unknown. 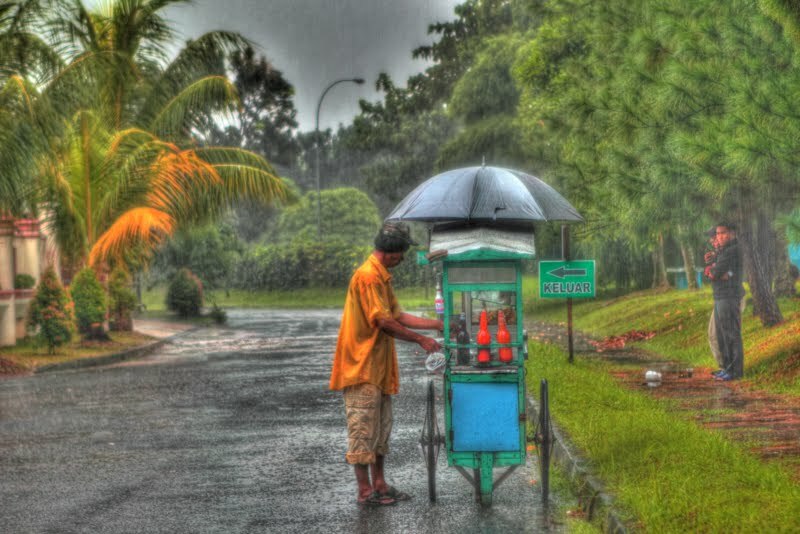 Taman Safari Bogor is located near the highway between Jakarta and Bandung, West Java. It is about 80 kilometres (50 mi) from Soekarno-Hatta International Airport, Jakarta and about 78 kilometres (48 mi) from Bandung. Taman Safari with about 170 hectares (420 acres) has around 2,500 animals, the majority of which are Indonesian, including Bengal tigers, Giraffe, Malayan Sun Bear, Orangutan, Hippo, zebra, cheetah, elephants, and komodos. There are also many conserved faunas here, including the Bali Starling, a small white Mynah bird. The safari is a drive through and it is possible to be extremely close to all the animals. The animals can literally stick their heads in your vehicle if you do not keep your windows closed as advised. Most of the herbivores can be fed vegetables from your vehicle though this is not condoned by the park and may result in scratches and dents from large animals like bulls and Blackbuck crowding your vehicle. Six wildlife shows are on property including a Wild West Show, Dolphin Show, and Elephant Show. Also, inside the amusement park section of Taman Safari are a few small rides and exhibits that include Humboldt Penguins, bats, nocturnal animals from Indonesia and India,wallaby, crocodiles, and kangaroos. Camping and bungalows are available for guests who would like to pay to stay in the park overnight. The zoo features a small petting zoo which is themed to look like the Taj Mahal. The petting zoo also includes photo areas where for a small fee guests can take pictures with various animals such as baby lions, tigers, and leopards. Taman Safari's map that a guest receives at the front gate says "National Tourism Site Indonesian Center for Reproduction of Endangered Wildlife." This seems to be true as occasionally the animals can be seen mating by guests. Disney On Ice “Worlds Of Fantasy” diadakan di dua kota besar Indonesia, yakni Istora Senayan Jakrta pada tanggal 14-18 April 2011 dan di Jatim Expo Surabaya pada tanggal 22-25 April 2011. Disney On Ice Worlds Of Fantasy menyuguhkan penonton untuk berpetualang ke dunia dongeng Disney yang penuh pesona. Dimulai dengan adu balap dengan kecepatan tinggi yang mendebarkan bersama Lighting McQueen, Mater dan crew dari Disney/Pixar’s Cars. Setelah itu, petualang kerajaan The Little Mermaid’s, yang sangat memikat di dasar laut. Penonton juga diajak kedalaman hutan belantara The Lion King. serta ke dunia mistis Pixie Hollow dimana Tinker Bell dan para peri lainnya hidup bersama. Penampilan Mickey Mouse, Minnie Mouse, dan Goffy menjadikan pertunjukkan Worlds OF Fantasy makin semarak. Semua kisah itu disajikan lewat aksi ice-skating spektakuler dalam balutan costume character yang sangat indah dan hidup, dengan bantuan koreografi berkels serta dukungan special effect super canggih . Pekan Raya Jakarta (PRJ) or Jakarta Fair is the largest annual exhibition in Indonesia. Although named "Pekan (week)", usually lasts for one full month from mid-June until mid-July to commemorate the anniversary of the city. Pekan Raya Jakarta (PRJ) was first held in Monas June 5 to July 20 1968 and was opened by President Soeharto to release the pigeon. At begining PRJ was called DF which stands Djakarta Fair (Old Spelling). Gradually, the spelling changed to Jakarta Fair which was then more popular as the Jakarta Fair. To date every year implementation is never interrupted. From 1968 to 1991 PRJ ever held in the National Monument Park. DF 69 broke the record for longest PRJ implementation takes 71 days. Even U.S. President Richard Nixon at the time to come to Indonesia, had stopped to DF 69. He stopped at a booth near Mangan Shamsuddin Plaza, had waved to visitors and employees of DF 69. Exebition of Jakarta Fair or PRJ, progressing the amount of visitors and participants from year to year were expanded and growth. Than just a night market, "mutate" into Modern exhibition featuring a variety of products. The area were also increasing. From only seven acres at Monas area since 1992, has now moved to the Central Jakarta District Kemayoran which occupies an area of ​​44 hectares.